When your woodworking shop runs out of inventory, open a candy store. That's basically the story behind Ava's Candy Corner, which opened for regular business hours earlier this week in White River Junction. The candy shop shares a storefront with Fletcher Creations at 63 Gates Street, where Scott Fletcher crafts custom furniture and household goods using salvaged architectural materials. In the past, Scott used the space to stockpile inventory for regional antique shows. Since he shifted his focus to custom clients, the woodshop no longer needs the storage space, his wife and business partner, Jamie Fletcher, told Seven Days. 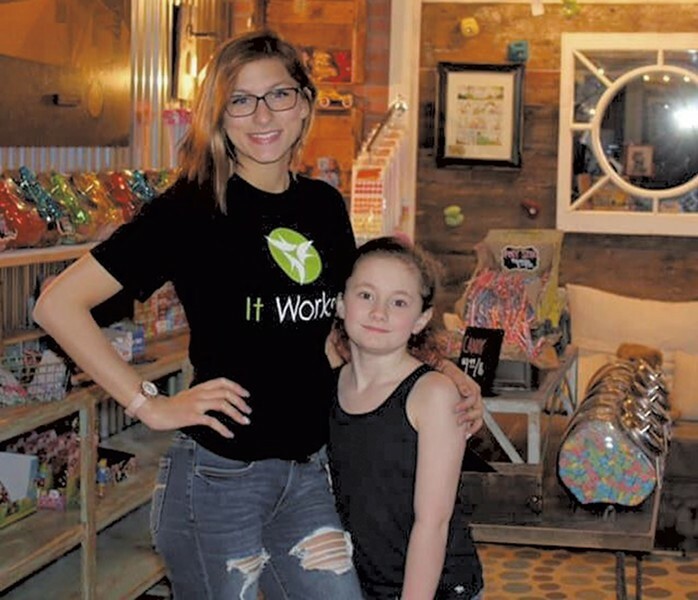 "I wanted to open another business in the space," Jamie said, and "our 9-year-old was like, 'How about we open a candy store?'" Jamie looked into it and decided that, business-wise, that wasn't a bad idea. Installing candy displays would be easy with Scott's help, and the shop could fill an underserved niche in the village. "As much as downtown WRJ has been revitalized in recent years, there's not much for children," Jamie said. Plus, she added, "Candy makes people happy in a way that I haven't seen in other customer-service environments. People see this old candy that reminds them of a moment in their past — or something they just like now — and it's a moment of happiness in our otherwise hectic lives." Inside the shop, visitors will find freshly made cotton candy (which will also be made to order once health permits go through) and jars brimming with old-fashioned treats such as candy cigarettes, sugar buttons and wax soda bottles. Pop Rocks come in their original 1970s packaging, and boxed sweets include Moon Pie Bites and Cupcake Bites. The shop also has a gummy menagerie of bears, worms, dinosaurs, alligators and other critters, curated by the Fletchers' daughter Ava, for whom the store is named, and her cousins. At press time, the shop's stock list included 38 individual items, and Jamie said that number grows daily as she takes requests from customers and familiarizes herself with what's available. This week, she's expecting an order of old-fashioned bottled sodas; in the summer, she plans to add locally made ice cream to the mix. The Fletchers will throw a grand opening party on Friday, April 5, during White River Junction's monthly First Friday. In the meantime, Ava's Candy Corner is open daily from 9 a.m. to 9 p.m. The original print version of this article was headlined "Gummy World"